Environment Secretary Michael Gove told reporters it was "not the time to change the captain of the ship". And the PM's de facto deputy David Lidington insisted he was "100% behind" Mrs May. MPs are expected to get the chance to hold a series of so-called indicative votes on possible alternatives to Mrs May's withdrawal deal, but Brexit Secretary Stephen Barclay said they would "not be binding". They discussed a range of issues, including whether there was sufficient support to hold a third vote on the prime minister's deal this week, a Downing Street spokesman said. The suggestion is that Tory MPs might reluctantly back Mrs May's Brexit deal if they know she will not be in charge of the next stage of negotiations with the EU, but there are differing accounts of who the preferred candidate to replace her is. The Sunday Times reports that Mr Lidington, who voted Remain, is being lined up, while the Mail on Sunday said the Brexiteer Environment Secretary Mr Gove was the "consensus choice". One senior backbencher told the BBC's Iain Watson that even standing aside would not be enough for her deal to be voted through, and that Mrs May might as well "dig in". And Mr Lidington insisted Mrs May was "doing a fantastic job" and he had no desire to take over from her. Chancellor Philip Hammond told Sky's Sophy Ridge on Sunday "changing prime ministers wouldn't help, changing the party of government wouldn't help." He denied reports he was hoping to parachute in Mr Lidington as caretaker, adding: "To be talking about changing the players on the board, frankly, is self-indulgent at this time." 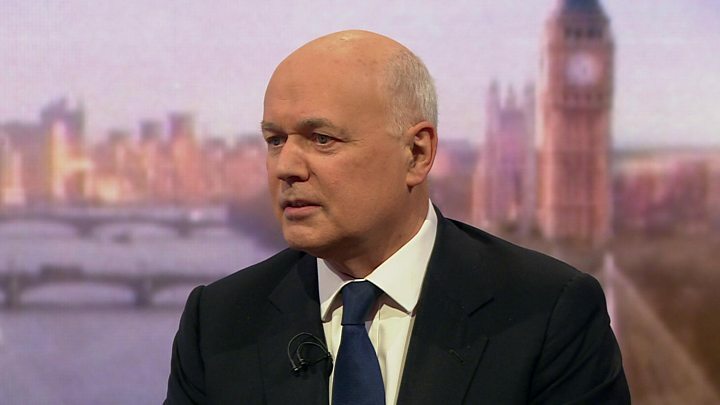 Former Conservative leader and prominent Brexiteer Iain Duncan Smith told the BBC's Andrew Marr the disloyalty some cabinet ministers were showing to her was "appalling". 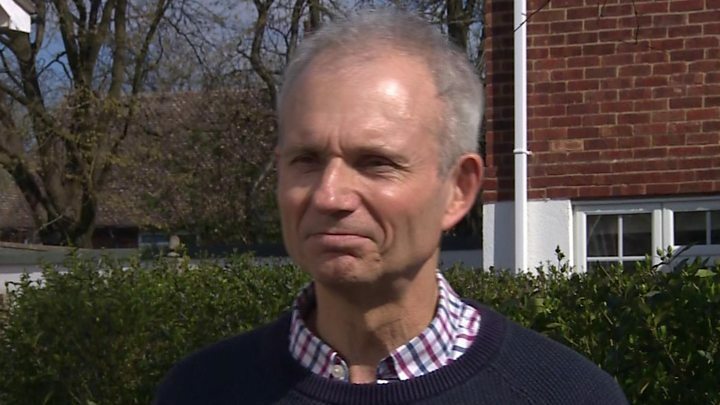 MP for Aylesbury since 1992 and now Cabinet Office Minister, David Lidington, below left, is the prime minister's right-hand man and behind-the-scenes fixer. Former journalist turned MP for Surrey Heath, Michael Gove, above right, is currently environment secretary. He's previously held the justice and education briefs. Now having worked his way back into the senior echelons of government, Mr Gove is seen as someone who could hold the Conservative Party together, and might be a candidate Remainers could stomach because he's hinted he could be open to a softer form of Brexit. Arch Brexiteers feel, though, that for that very reason he'd be an unacceptable choice. Media captionIain Duncan Smith calls ministerial disloyalty "appalling"
But Mr Barclay said there was a "crisis" because "Parliament is trying to take over the government". He said if MPs vote for a Brexit outcome at odds with the Tory manifesto - for example, in favour of maintaining single market membership - "the risk of a general election increases, because you potentially have a situation where Parliament is instructing the executive to do something that is counter to what it was elected to do". Shadow Brexit secretary Keir Starmer said the indicative votes must be a "serious exercise". He said Labour would go into the process "in good faith" but there needed to be "assurance that the prime minister isn't going to use it just to frustrate the process". Monday: MPs will debate the Brexit next steps and a number of amendments - possible alternatives - to the government plan will be put to a vote. One that could well succeed calls for a series of "indicative votes" in the Commons, run by Parliament, to see if a majority can be found for a different Brexit model. Tuesday: Theresa May could bring her withdrawal deal back for the so-called third meaningful vote. But the government says it won't do that unless it's sure it has enough to support to win. Wednesday: This is when indicative votes would be held - we don't know yet whether MPs will be free to vote how they want or be directed along party lines. The chances of any genuine cross-party consensus being achieved are not high. 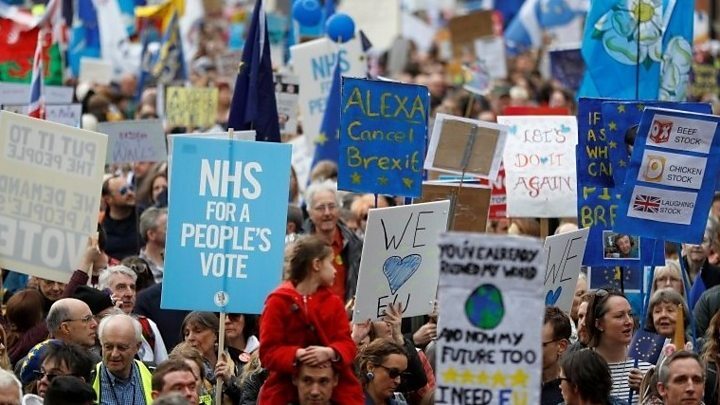 Media captionMarchers called for a "proper vote" and said they'd been "sold down the river"
Meanwhile, the woman behind a record-breaking anti-Brexit petition - which has received more than five million signatures - says she has received death threats over the poll. Earlier in the week, European leaders agreed to delay the UK's departure from the EU.